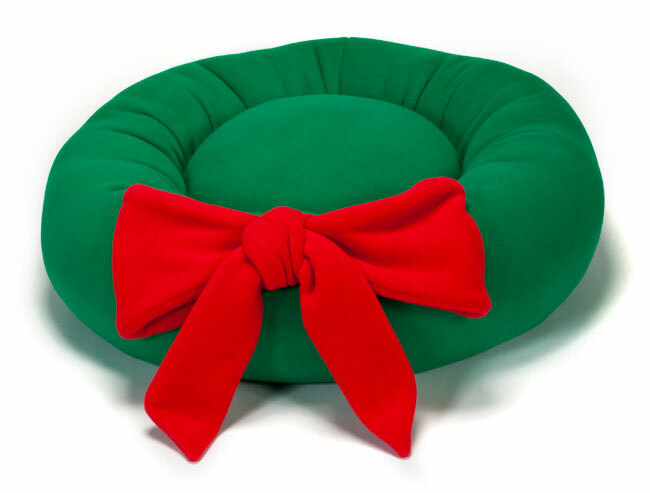 “The puppies were nestled all snug in their beds…” Especially if it’s a Cozy Puff Holiday Dog Bed! A unique gift idea for everyone’s favorite dog is the Cozy Christmas Dog Bed, 100% made in the USA of Polartec® fleece. 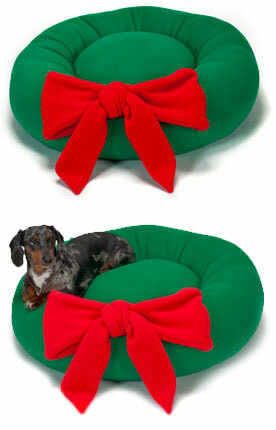 Dogs absolutely love soft, warm Cozy Puff Dog Beds and the Cozy Christmas Bed, with its luxurious big red bow, is ideal for all those photo opportunities by the Christmas tree!